I have come across your web page researching my family tree. I wonder if anyone can help / share any information or photos. My great grandmother was Agnes Dobson. She was the daughter of William Dobson and Thyrza Jane Dobson (was Gilbert). I think William Dobson's father was Richard Dobson (abt.1826) & mother Elizabeth Dobson (was Few). All records show Chilton Foliatt. Agnes Dobson my great grandmother grew up in Leverton. I'm not 100% of any of my records as we didn't know this family line. My Nan (Agnes Dobson's daughter) was given away at birth and very little was shared about her mum and this family line. If anyone can share any information I would be thrilled to hear from you. If you can help Philippa with her research, please email mail@chiltonfoliat.com and your message will be forwarded. 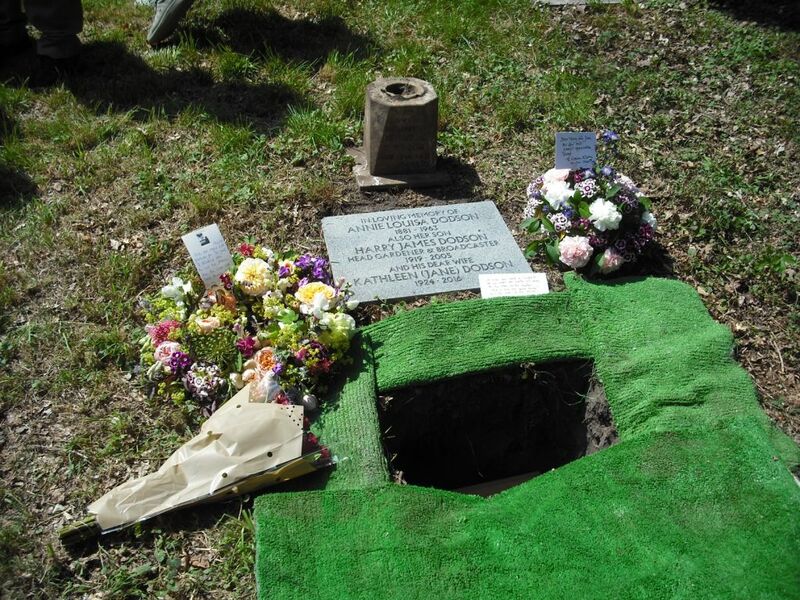 As you were kind enough to publish my email about the news that the late Harry DODSON's remains were finally going to be interred, perhaps you would like to see some photos which were taken at St. Matthew's, Blackmoor, on 19th June 2017. 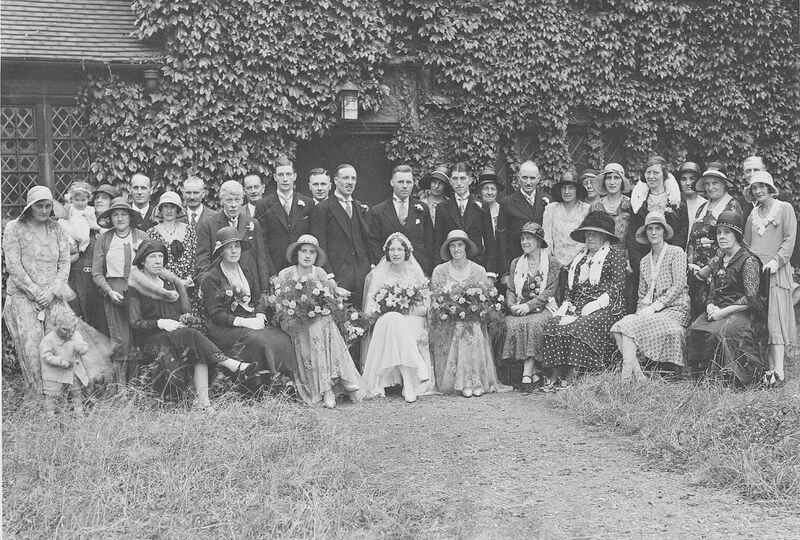 You may have already read elsewhere that the congregation included Lord and Lady Selborne, Adrian and Sarah Scrope and Amanda Ward from Chilton, members of the Norris (Harry's mother's) family, and members of the BBC's 'The Victorian Kitchen Garden' team, including Keith Sheather, Jennifer Davies, and others. Jennifer Davies also spoke as part of the Service which was led by the vicar of St. Matthew's, the reverend Dom Clarke, who did a brilliant job. As did the 'Friends' of St. Matthew's, who made everyone very welcome, and who also kindly provided tea and cake afterwards. Any tinge of sadness the congregation might have felt was more than outweighed by the sense of 'the right thing' finally being done. The photos include shots of: the new gravestone (which also commemorates Harry's mother and his late wife, 'Jane', who, I suspect, is still remembered by people in the Chilton area); flowers brought from Chilton (grown in the walled garden, of course); flowers from the 'Victorian Kitchen Garden' team; and a passage from Kipling's 'The Glory of the Garden', hand-written by Jennifer Davies which, she said, Harry used to quote. The stone vase in the general view of the grave is the original memorial to Harry's mother, who died in 1963.
www.bordonherald.com/article.cfm?id=120664&headline=Harry%27s%20ashes%20finally%20come%20home§ionIs=news&searchyear=2017 with the headline: "Harry's ashes finally come home"
I know that in the past you've had lots of fans of the 'Victorian Kitchen Garden' TV series contacting you, asking for more information about Chilton and the characters they saw on-screen, etc. 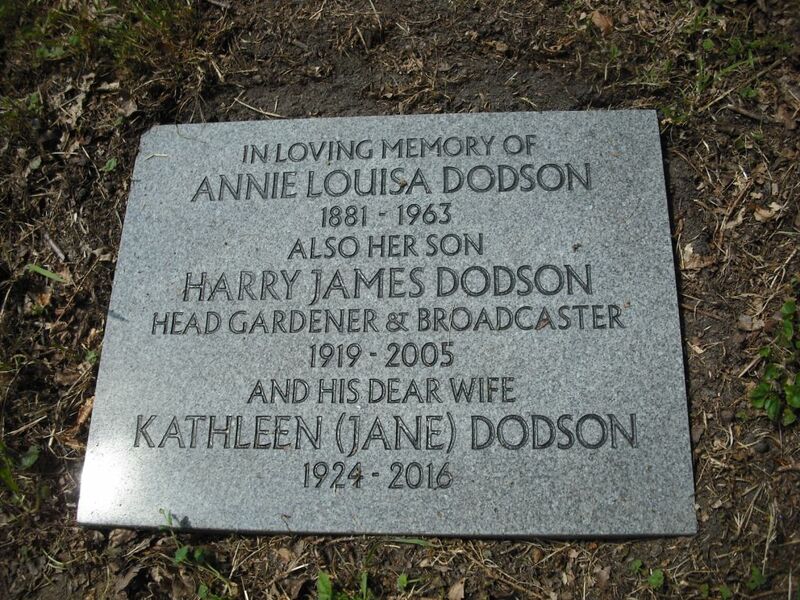 Well, if you can stand a bit more, there is a bit of 'new' news pertaining to the head gardener, Harry DODSON. That might sound a bit strange, as Harry passed away in 2005. However, what didn't happen at the time was the interment of his ashes, as no-one knew at the time where that should take place. Finally, Harry's wishes are now known and next Monday, 19th June 2017, a Service and the interment will take place at St. Matthews Church on the Blackmoor Estate, where Harry grew up and started work. So, although for everyone who knew or remembers Harry it'll be a slightly sad day, it's also a comfort, knowing that Harry's remains are finally going to be laid to rest where he requested. And the timing is also somewhat fitting. 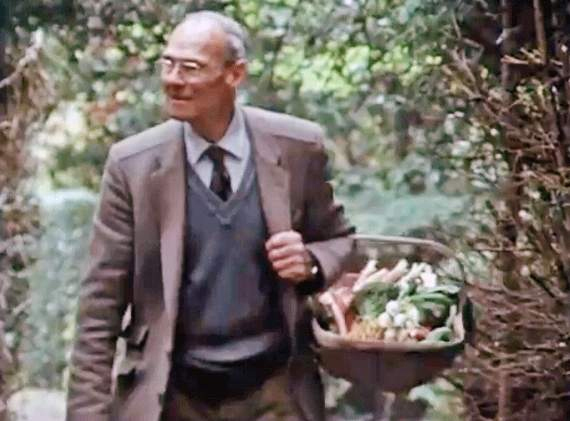 2017 marks the 30th anniversary of the first 'Victorian Kitchen Garden' broadcasts, and 70 years since Harry became Head Gardener at Chilton. Many thanks for the reply and links, yes, I agree it would make sense for the family to live in Mill House. All speculation I guess at the moment but nice to think they might have. James's father was listed as a miller on his baptism papers in Ramsbury in 1834 so it seems it was a long standing family trade. I’m not sure when they moved to Chilton, all part of my quest. I have traced my GGGfathers family back in the 15th and 16th century to Painswick in Gloucestershire moving to Lambourn in the late 17th Century and Chisledon in the mid 18th century, from there to Ramsbury and Chilton. I guess there are many branches of the family in the area so very much possible that some already lived in and around Chilton before my branch moved there. It was rumoured in the family, from an old aunt, that the Winchcombs were descended for John Winchcomb or 'Jack of Newbury' https://en.wikipedia.org/wiki/Jack_O%27Newbury who was a miller/clothier in the early 16th century and became quite prominent though we have no proof... just rumour, a common name and a strong theme of milling. I notice that there are also Winchcombs in Soley? 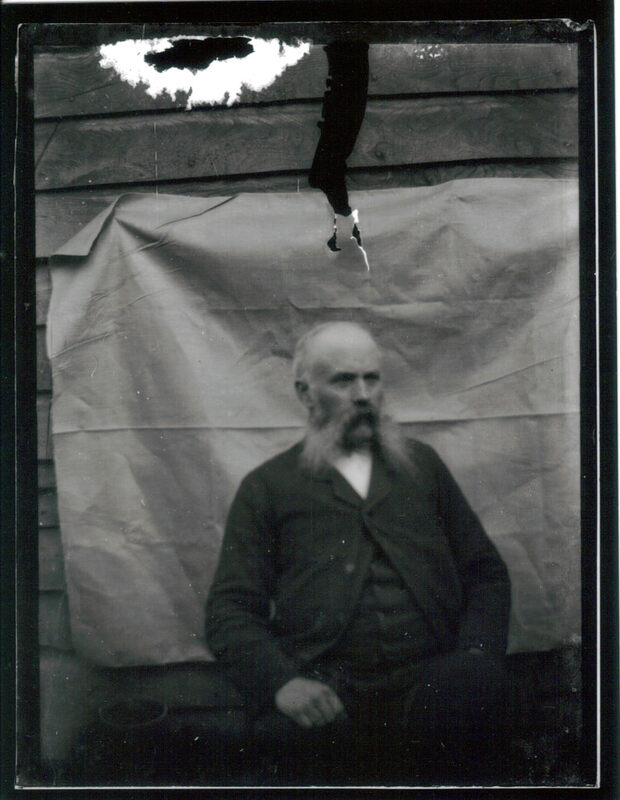 Chilton Foliat in the 1840/50s... may be another branch of the family... something for a future date I think. I concentrate on my immediate line for now. The Mill House is on the south side of the main road on the corner as it bends towards the west. Mill Cottage is opposite, on the north side of the road. I attach some estate agents pics of Mill Cottage, but it seems more likely that your ancestors lived in The Mill House. I was mystified by the fact that you were coming up with different names in the censuses, but I now realise that for the early censuses Chilton Foliat was split into two parts, so I am grateful to you for that revelation. Maybe I am making too bold an assumption but also came across 'mill cottage' on line, built opposite the mill. In trying to place the family within the village was wondering if it was plausible that being millers they lived there? I may be barking up the wrong tree - just wondered your thoughts. Not sure if it's the same winchcombs as the funeral people. John and Sarah were Millers at the mill in Chilton, James was listed there as a miller until 1851 when he joined the military. Sarah is listed in the 1855 post office directory for Chilton under traders as a miller. Many thanks once again, any info on the village or family at this time is fantastic. I am looking for any information relating to the WINCHCOMB/WINCHCOMBE family who resided in Chilton Foliat around the 1830-1860 and were millers. Any info on this family or records relating to mill itself much appreciated. 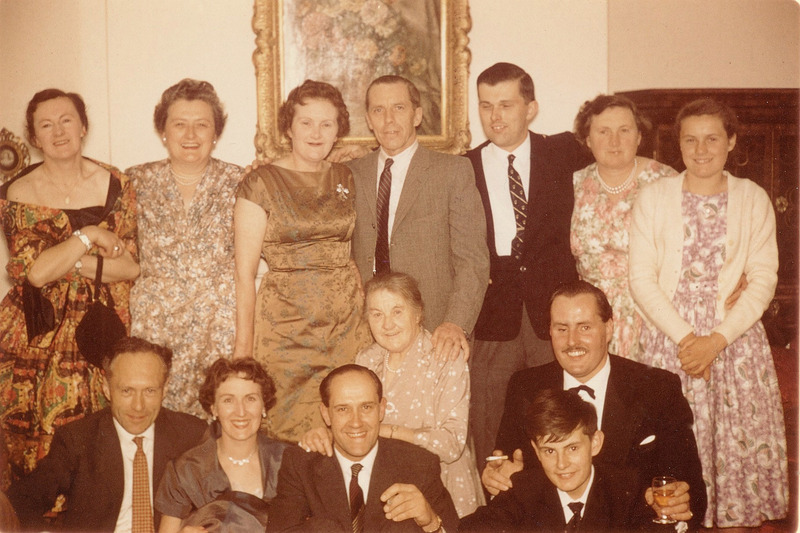 I am trying to find confirmation of christenings for my Mudge family. 2. Samuel Mudge 15 Jan 1815 Parents as above. 3. Mary Mudge c1815 Parents as above. 4. Jane Mudge c1816 Parents as above. Maybe someone will know of this family and their details..
My family history research has led me here; to Geoge AUSTIN b 1831, and his family of whom his father appears to be Jason. According to the 1841 Census, they were at Berks Park Farm, Chilton Foliat. I am wondering if there is any information about this farm or family. 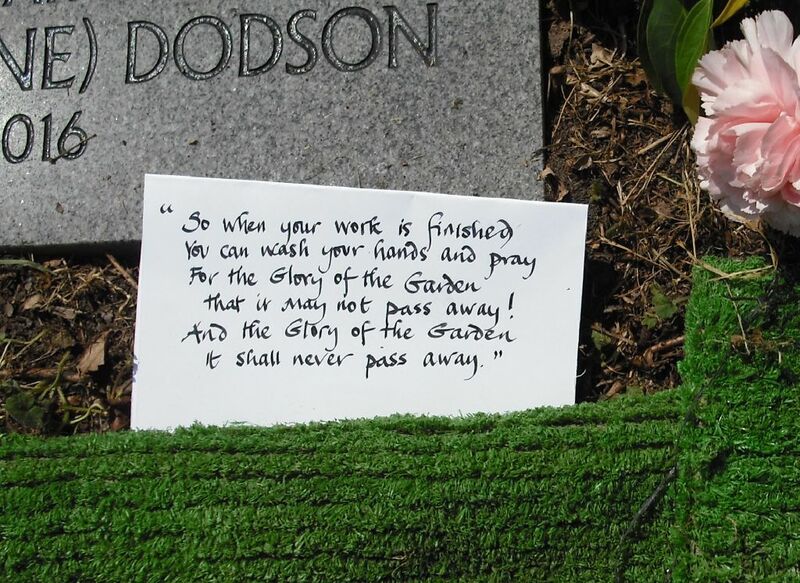 I was browsing your website when I came across a request from somebody that wanted to know where the late Harry DODSON was buried. I don't know if you were able to answer that request but if it helps, I seem to remember that he was from the same village as my Father and that was Stroud (pronounces Strood) near Petersield in Hampshire. Dad met and married my Mum who was born in Chilton Foliat as was I. Hope this snippet of information is of interest. I am contacting you, as I am sure many others have before me, as I am a huge fan of the Victorian Kitchen Garden series. I have read some of the articles on your website with interest. I understand the walled gardens at Chilton are no longer kept up. I wondered if you knew if there had ever been any statement made by the family as to their long term intentions towards them? It seems such a shame after all the wonderful work done in those gardens over the years. 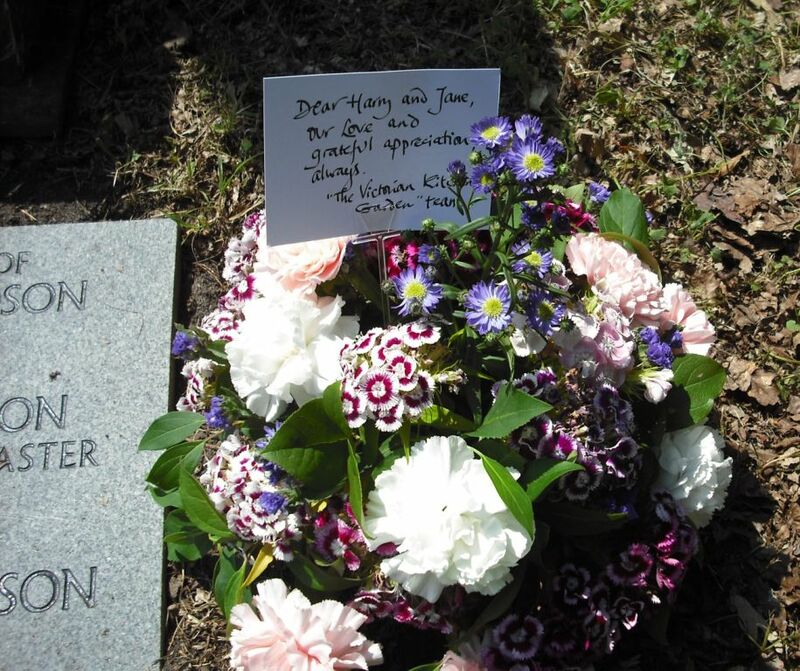 I understand you received a query from another fan recently, as to the final resting place of Harry DODSON. If this information is available I would be grateful for it, in order to pay my respects at some point in the future. Mr DODSON truly was a national treasure. Apologies if you are often inundated with requests of this kind. Any help you can provide would be appreciated. I still have unanswered questions about my COWLEY line. I think the line started in Chilton with a Hugh CAWLEY.a Gent., then moved over to Lambourne, where William was born in 1784. He then married Ann Cook, after which they lived and raised 10 Children in Chilton. Where my G/Grandfather John COWLEY was born and Baptised. Mystery as to what happened to William. He died between 1861/75, but he isn’t buried in Chilton. I’ve bought several Death Certs’ but none were him. If you have any thoughts as to where he may have died, and is buried, I’d appreciate it. Have tried Workhouses,if he fell on hard times? No luck. I posted a message on the Website a few years ago regarding my Ancestors. Which is still on there. I also paid Nimrod researchers to go to the Records Office in Chippenham. They found Documents relating to G/G/Grandfather William COWLEY renting property on Old Soley.plus Charity help with Coal and Blankets. Also Recipes. I did send copies of the documents to Ray Brooks on a CD.,so you may already have these. My Maiden name was COWLEY,my G/G/Gran Ann COWLEY and her Daughter Eleanor WIGGINS are buried in the Churchyard, as was Richard COWLEY, the only one with a Headstone. 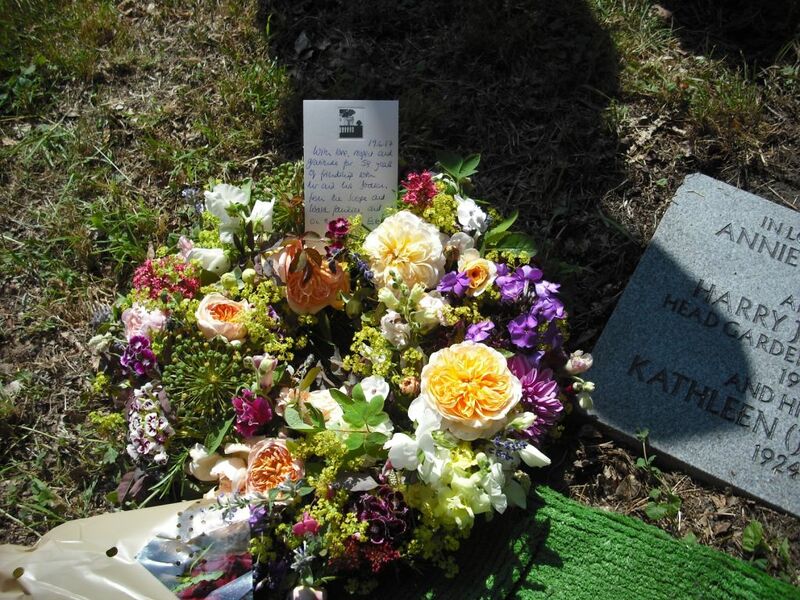 Attached Photo of G/G/Uncle Richard's Headstone. Many thanks for your message. 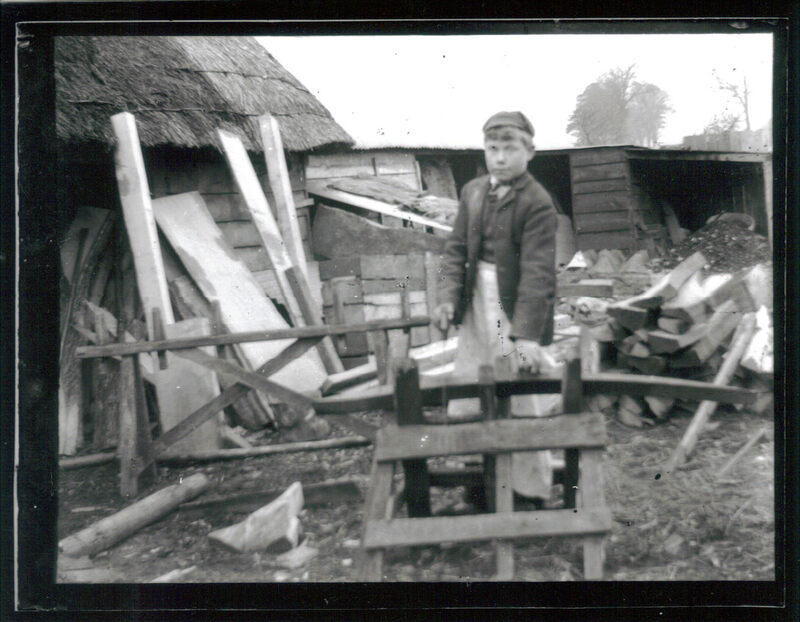 We're in the process of collating old village documents and photos so thank you for the offer. We do have an ancestors' part of the website if you'd like to share any information relating to the village your relatives lived in or nearby? I have only just read about your putting some of Mr Brooks Documents online. So,I may be a bit out of date. Ray Brooks was a great help to me in my Family History research. We met several times. So sad to learn of his death. Not sure what help I can give. But have COWLEY family info. I have recently been going through all the census returns for Chilton Foliat from 1841 to 1911. I hope this information has been of some use to you. My name is Robert DREW and I live in Canada and I do genealogy research of my family name. I was on your web site and saw the name Karen DREW. My family lived in Aldbourne in the 1700 and early 1800. Then my g-g grandfather moved to Little Bedwyn about 1811 when he got married to Ann MILLS. I'm always looking for contacts in your area. When I see a DREW name I wonder if we are related?? Please someone respond to me if you can help. Hello to the folks in Chilton Foliat, from Canada. My sister and I visited your beautiful village for a week last month to see where our grandmother grew up and the family farmed at New Hayward Farm many, many decades ago. Our visit included your church where family weddings were held, church yard where generations of ancestors lie, The Wheatsheaf (of course), Little Hidden Farm (riding the same trails our grandmother rode her horse), finding Walnut Tree Cottage (great-grandparent’s home), and visits to neighbouring towns and villages where family lived. We enjoyed matching 80-90 year old photos with today’s locations (here's one from the 30's). Unfortunately, we missed the Flower Festival because of a 3-hour flight delay - hope the church fundraiser was a success! We thoroughly enjoyed our visit and wish we could have stayed longer. Thanks to everyone for their incredible hospitality, including: Julie (Curers B&B), Sue (Little Hidden Farm), Max and Penny, Sally and Roy, and cousin Rob. Thanks so much for your email. 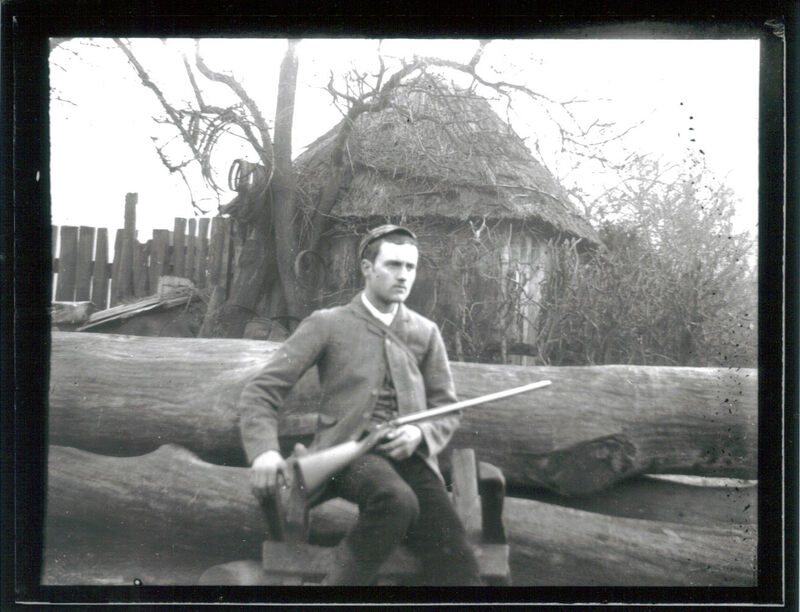 H. New is my great grandfather. F New, beside him is likely his brother, Frank, because he looks a similar age so not likely his father, Francis. 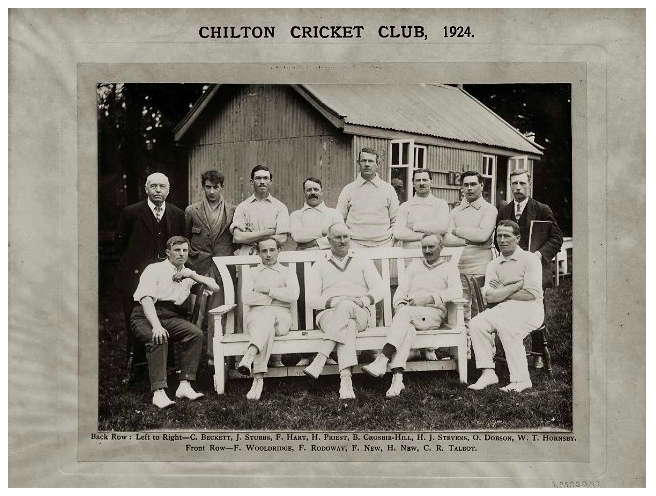 I just came across this photograph on the Chilton Estate website and I thought you might be interested as there is a H.New in the cricket team 1924. My grandmother, Gertrude NEW lived on one of the thatched cottages which I seem to remember were on a bend in the road as you enter the village. When we came last year I couldn't find them! Gertrude was a nursemaid at Littlecote House in the early 1900's and had two sisters Annie and Edith. I went to school in Hungerford in the 1960's with a girl whose father worked on one of farms in Chilton Foliat, unfortunately I can't remember her name - I was Denise Preston then. Received 22nd May 2013 from Linda HUDSON. Do you recognise any of the people in these photographs? If so, please contact Linda at linhud@shaw.ca. Attached are a couple of photos that were taken when my father and grandparents visited family in 1959. I hope someone will recognize them! Received 20th May 2013 from Linda HUDSON. 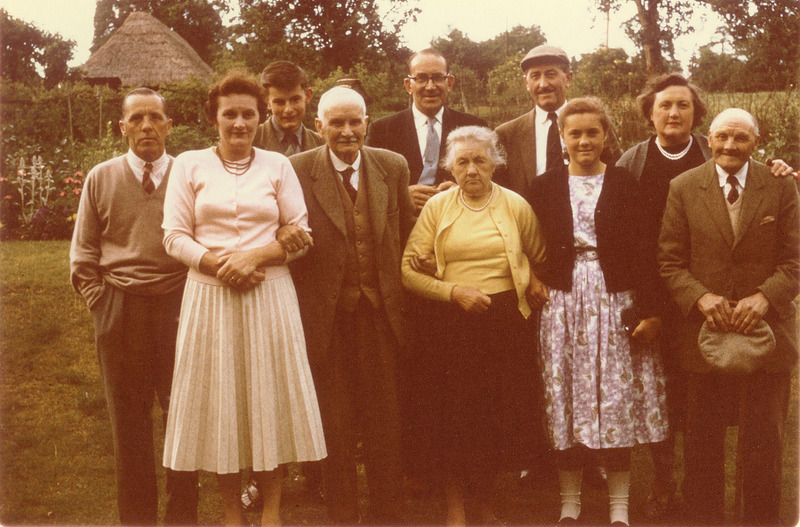 Can you help Linda track down her Chilton Foliat ancestors? If so, please contact her at linhud@shaw.ca. 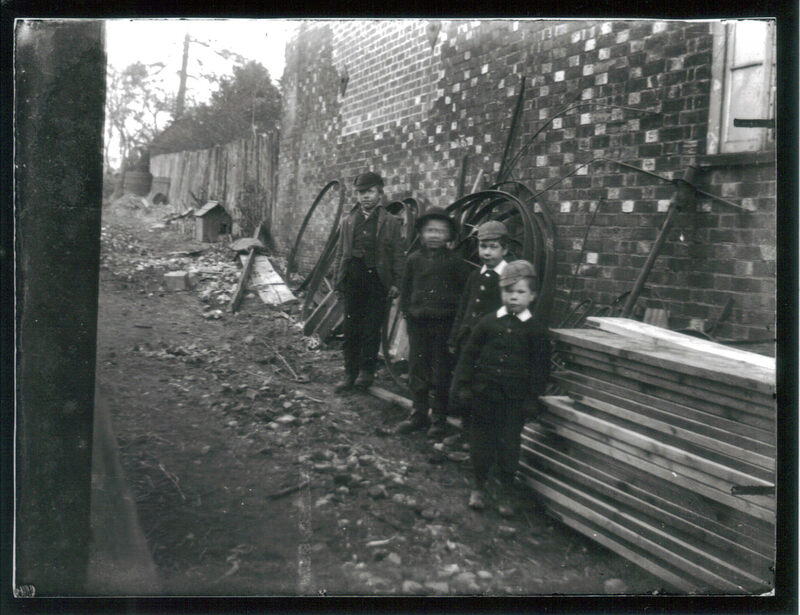 Attached are some of my grandmother's photos. The one titled "Mary and Geoff on motorcycle" are my grandparents (Mary NEW and Geoff HUDSON) on one of their first dates in about 1927 and the photo was taken at my grandmother's house at New Hayward Farm. The motorcycle's brand was a "New Hudson". This was my grandmother's favorite photo so I thought I'd share it. 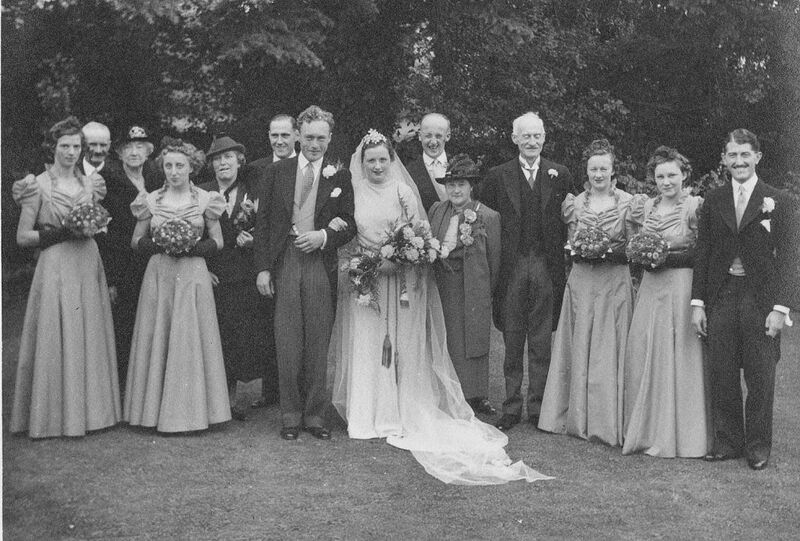 Connie's wedding and Marjorie NEW's wedding: I believe these were taken in the mid 1930's. 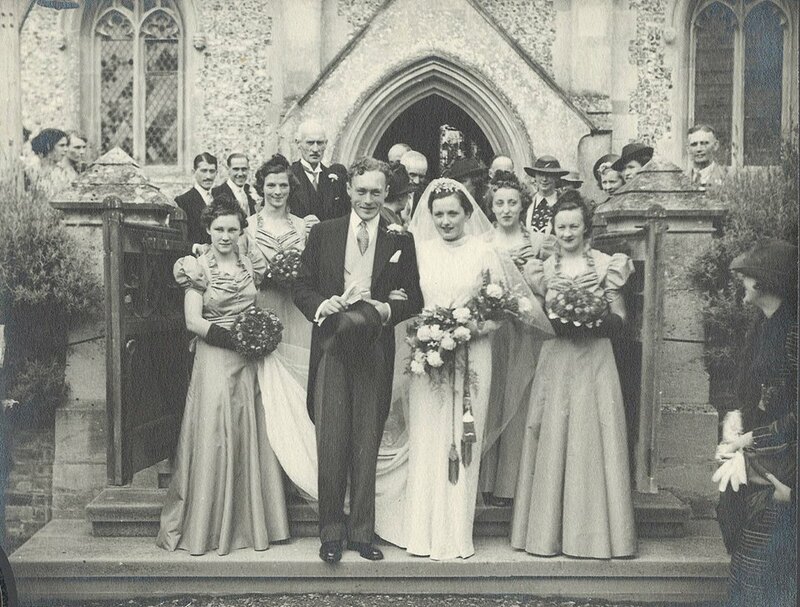 I have a newspaper article about Marjorie's wedding at St Mary's church in Chilton Foliat. I assume that Connie's wedding was also there. 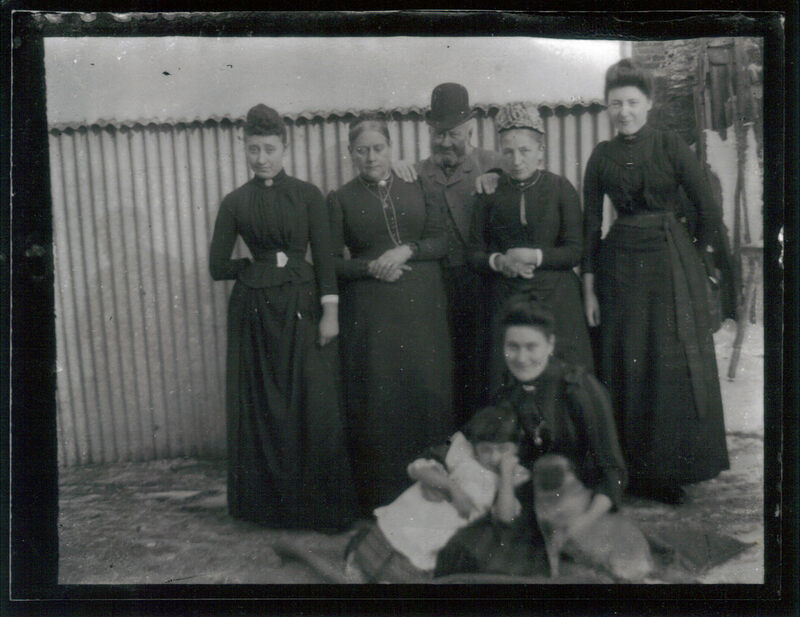 I recognize some people in these photos including: Frank NEW, Madeline BAVERSTOCK, Isabel NEW (both mother and daughter), Harry NEW, John PEGLAR (son of Isabel NEW and Bob PEGLAR). John is the little boy in the left corner of Connie's wedding would likely be about 80 now so may still be in the area? 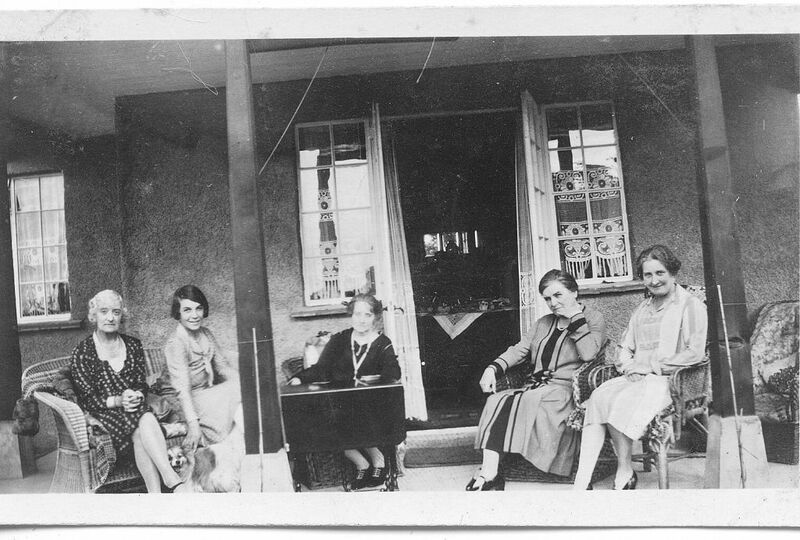 The unknown photos: I have many similar photos of these houses and people but, don't know who they are or who the homes belonged to. I'm not sure if these are relatives or friends of my grandmother's. I'm pretty sure the photos were taken in the 1920's. I have found the name Hannah PEGLER on a website indicating that she may be doing a family tree but, don't know more about her or how to find her. Also not sure if the correct spelling is PEGLAR or PEGLER. Do you know Hannah PEGLER? I've also attached the family tree that I'm trying to put together. Many thanks for any help you provide. Received 30th January 2012 from Eric HUNTLEY. If so, please contact the webmaster. 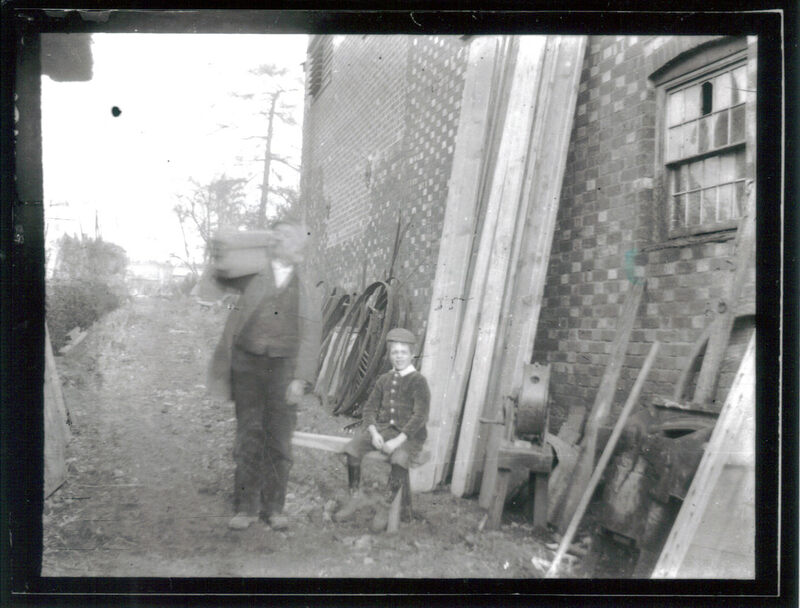 These photographs have been printed from some old glass plates. 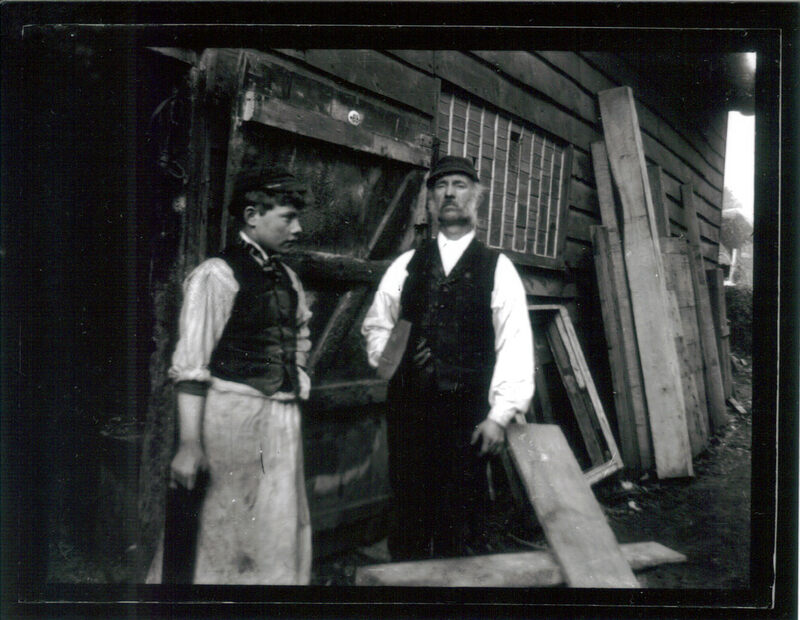 The people are not known to me, but I think the one of a man with boy outside what was DOBSON's shop is a Mr BRAY who was the carpenter. 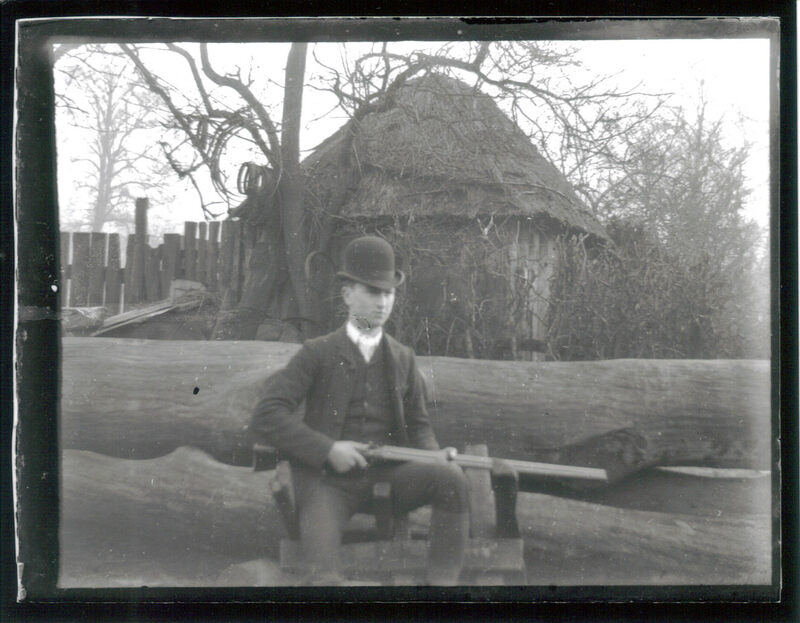 The gamekeeper I think worked for Littlecote. I worked at Stag Garage until going on my own in 1979 when I had a workshop at Littlecote then belonging to Sir Seton WILLS moving to Eastridge with Sir Seton when Littlecote was sold to Peter DE SAVERY in 1985. I retired from here in 2007 and enjoy my time with my family now in Hungerford. Hello from Toowoomba, Queensland, Australia. My father’s family is KEMP and I have it that my great great grandfather Henry KEMP, bap 1799 in St Mary’s, Chilton Foliat, resided in Leverton: as per his census records in 19th c.
Henry was the youngest child of about 8 to William and Ann (nee AMBROSE) KEMP. William was son of John and Elizabeth (nee GARRARD) KEMP. William bap 1757. John was son of Richard and Christian (nee ?? STOAT) KEMP. John bap 1715. I do not have any information regarding the origins of either Richard or Christian KEMP. Would you have any information on them at all??! I’ve only just learned that Chilton Foliat is partly in Wiltshire and partly in Berkshire. Does this still apply? If there have been no other replies on the Mr. HUNTLEY thread, I can contribute that he has retired from his garage at Eastridge and now lives in Hungerford, although several of his apprentices still work or live in the area. He occasionally walks over to the pub and is known by a few regulars who would be able to offer further information. I'm hoping that someone in the village will be able to help with my queries about Chilton. From the mid 1930s to the mid 1950s my parents were associated with Littlecote and Sir Ernest WILLS. My father, Ben BISHOP, was a gardener there and my mother worked in Littlecote House. 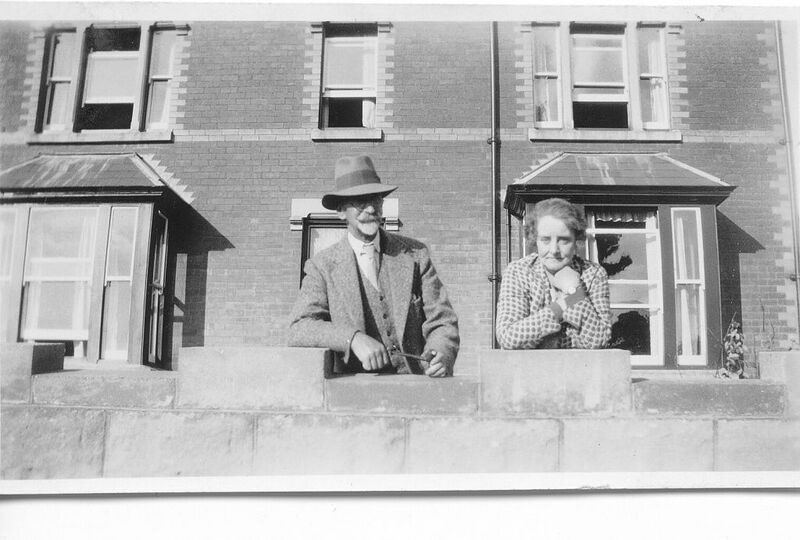 They married in 1940 and at that time they moved into Stag Cottage in Chilton. 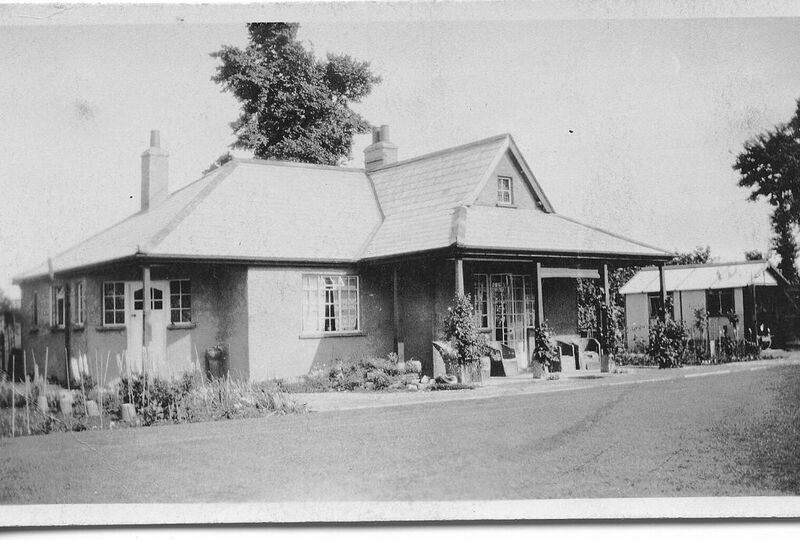 They lived there until 1945 when my father became Head Gardener and they moved into the Head Gardener's cottage on the Estate. I dimly recall Mrs COOK (Alwyn?) being a friend of my mother's and coming out to Littlecote to see us with her 2 small sons - Alan, I think was one. I believe Alan is still in Chilton - I wonder if he remembers my sister and I - Peggy and Judy BISHOP? My real enquiry relates to the war years in Chilton. Margaret and Jack GREGORY were great friends of my parents - Mrs GREGORY was actually my godmother and I used to visit her both when she was still in Chilton and latterly when she went to Froxfield. Family history didn't mean much to me at that time but age has brought curiosity! My mother died in 1955 when I was 6 and is buried in Chilton churchyard. I can remember Mrs GREGORY telling me that both she and my mother worked in the munitions factory during the war and that they saw Queen Mary when she visited during that time. Can anyone tell me where the munitions factory was? Can anyone confirm Queen Mary's visit, when it was and was King George with her? If Alan COOK is still living in the village, does he remember his visits to Littlecote and having tea with us? Am I right in thinking that Stag Cottage is no longer there and that the garage is now where it used to be? I come to the village once a year or so to visit my mother's grave - we were there in January and saw Ethel ROLFE whose husband George, as well as her brother Alec, worked with my father. This brief visit has reignited my interest and I would be so grateful for any information anyone can give me. Hello from crass and steamy Brisbane, Australia!! 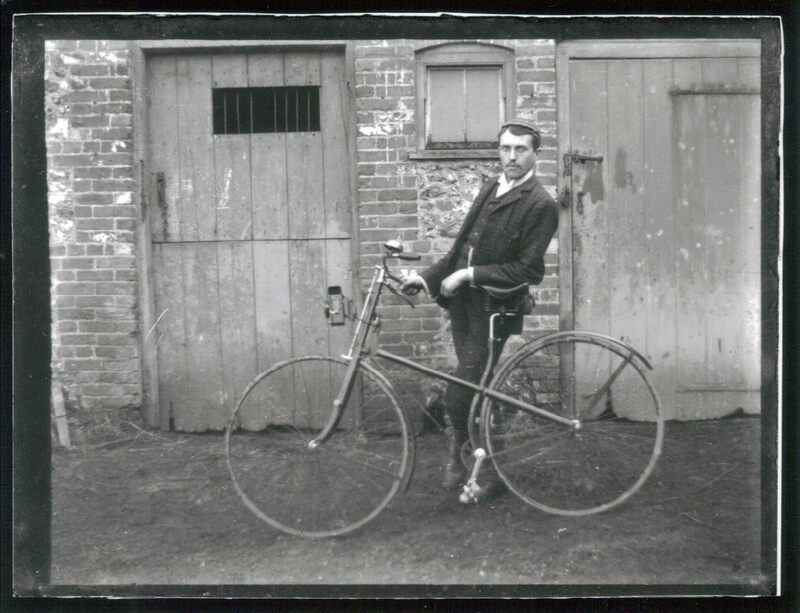 My great great grandfather was HENRY KEMP. Baptised in St Mary's on 26th May, 1799, the youngest son and child of William and Ann KEMP (nee AMBROSE). William's oldest child was John and he was baptised in1782. William and Ann were both born in 1757 - with William baptised on 26th May, and Ann on 1st August. Are you able to tell me anything of this KEMP family line at all? Did they live in Chilton Foliat. Were they related to the Seend of Lyneham/Melksham KEMPS? I came across the 1772 Index of the Poll of the Freeholders of Wiltshire and two KEMPS were named: William from Brinkworth/Lyneham and Henry from Seend. I look forward to hearing from you, with great expectations!!! Hello from very sunny southern California. I found your site, and have been clicking here and there on it to learn about your lovely village.I have just found out through some family research that my great uncle is buried in your churchyard, and I have been searching for photos and information on your town. I have also found sites on UK graves. I wonder if anyone in your village might be able to do a favor for someone too far away to visit the graveyard? If anyone is willing to do a kind turn, i would like to ask for a photo (jpg) of the grave of my great uncle. 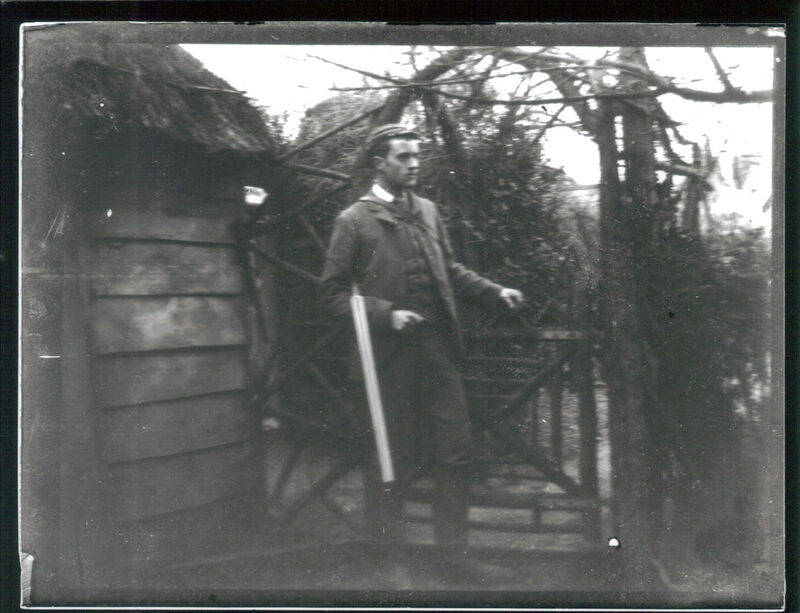 My great uncle, LYMAN HOLDEN CUNNINGHAM, joined the Royal Flying Corps (before it was the RAF). He volunteered before America was in the war, so became a part of a UK squadron. His "Casualty Details" report from the Commonwealth War Graves Commission lists his nationality as "United Kingdom" for that reason. He is in fact American, joined up via Canada, and flew for England. His plane crashed (over England) and he was killed 14 Jan 1918 at the age of 21. My uncle told me that Lyman's plane crashed because the plane had been sabotaged. The wires/struts had been filed through (by spies...?). I am now trying to verify this story, but it will take time. I hope you can somehow post this story and my request. Perhaps there is someone there who knows and visits the churchyard who would agree to doing me and my family this huge favor. We would be ever grateful! His grave reference number is B. 49. If you can help Lois, please click here to email your picture(s) direct. My Father's family originated from Chilton Foliat, the earliest member being a Hugh COWLEY back in the 1500's. My G/G/Grandparents William and Anne COWLEY ( nee COOK ) lived in Chilton all their married life, and brought up 10 Children but there is a mystery surrounding them. 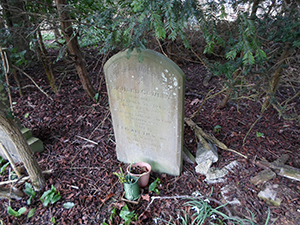 Anne died in 1864,and is buried in the Chuchyard, as are several members of the family. Her Son Richard has a Headstone but I can find no record of Williams death. Nor is he buried in Chilton. The reason for my message would be to ask if anyone could help me in my search. Possibly someone would know where he might have died if he'd been too ill to be cared for at home. The date would be between 1841-1851. I'd be grateful for any help, as I've tried Death records and ordered 2 Certificates which proved to be the wrong person. Does anyone have a contact for Mark KEEN? We went to school together and I am keen to trace him. I am looking for any remaining members of the BECKETT family.